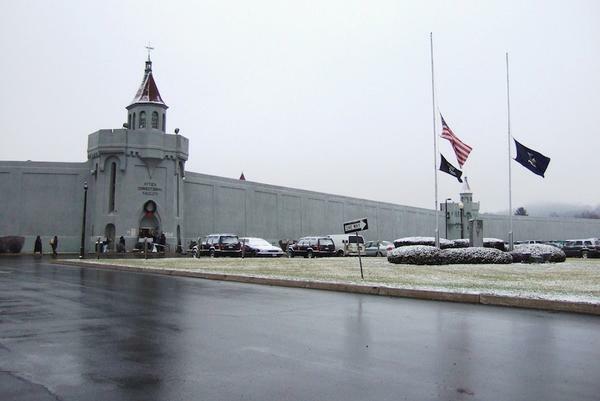 Attica Correctional Facility, where Phil Lyons was incarcerated for some of the 15 years he spent behind bars for killing a man. Lyons died in prison in April after years of heart trouble. Phil Lyons sat with four other inmates, shackled and handcuffed inside a dark blue windowless van with no air conditioning. It was 2010, New York’s hottest summer in history. While they roasted in the van, according to the story that Lyons told his wife, their guards spent the day browsing swag at garage sales and motorcycle shops, sipping cold soda and bragging about their overtime pay. Their trip ended at the parking lot of the Strong Memorial Hospital in Rochester, N.Y., fifty miles east of Attica Correctional Facility. The hospital was not expecting them so they waited for another three hours confined in the state van, drenched in sweat mixed with blood from cuts made by their skin-tight handcuffs. 67 year-old Phil had endured pain from open-chest surgery for eight years, and that summer was suffering from emphysema and a stomach ulcer. By the end of the day, says Pat, he was suffering from severe heat exposure. America’s inmates are aging. Nationally, the number of prisoners over age 55 nearly quadrupled from 1995 to 2010, eight times the pace of growth for the total prison population, according to a recent Human Rights Watch report. From 2007 to 2012, while the overall New York State prison population decreased by 11.6 percent, the elderly prisoner population increased by 27.7 percent, according to the New York State Department of Corrections and Community Service (DOCCS). Due to long sentences handed out in the 70s and 80s, American prisons now serve as quasi-nursing homes, albeit lacking the long-term care we associate with geriatric facilities. But the process is cumbersome and lengthy, with the majority of eligible inmates dying before release. Sustained incarceration is expensive: Elderly prisoners are far more likely to have illnesses and disabilities, and health care is consistently underfunded and administered poorly by the prison system. Today, New York spends about $2.7 billion on state prisons—or $60,000 per prisoner—each year. Elderly inmates are more expensive to incarcerate, due to increased reliance on medical attention. According to the same Human Rights Watch report, medical expenditures for older inmates range from three to nine times higher than younger inmates, depending on the state. Despite an increasing need for health care in prison, medical staffing has been cut by 16 percent in the past three years, and that trend is slated to continue. Jack Beck is the director of the Prison Visiting Project at the Correctional Association of New York—the only private organization allowed to inspect prisons in New York and report their findings. Speaking in February to the Joint Legislative Hearings on the 2013-14 Budget for Public Protection, he expressed concern about the proposed cuts. Beck added that contract services—those that go toward specialty care services for the most severely ill patients—and medication from outside contract services, will also be reduced in the next fiscal year by 1.17 percent, totaling an 18 percent decline in the past three years. “Similarly, supplies and materials funding, much of which goes toward medications for incarcerated persons and especially patients infected with chronic illnesses, was reduced again in the present budget, for a total of nearly a 15 percent reduction over the past three years,” he says. While DOCCS attributes reduction in medical supplies over the past three years to an increasing availability of cheaper generic medications, they do not account for reductions in medical staffing and contract services. “More and more medications available in a generic form are helping us control our medical costs,” wrote Tom Mailey, director of public information at New York State DOCCS, in an email to City Limits. In a report issued in April 2013 the U.S. Department of Justice Office of the Inspector General cites the failure of the Bureau of Prisons (BOP) to implement the Compassionate Release program at the federal level. There are no timeliness standards for reviewing requests, and there is no system in place to track the compassionate release requests or the timeliness of the review process. In New York State, in order to be approved for compassionate release, an inmate’s application must pass a medical evaluation to be approved by the DOCCS Deputy Commissioner/Chief Medial Officer. If approved, the application is referred to the Division of Parole. The vast majority of applicants never win release. Between 1992 and April 2012, of the 2730 requests filed, New York State released 381 people through the program. In that same time, 950 people have died prior to release. In 2011, while 106 requests were filed for compassionate release, only 5 were released, and 29 people died prior to release. However, out of the 2,730 applications, only 86 requests were outright denied by the Division of Parole. Similarly in 2011, of the 206 requests made, only 11 were outright denied. DOCCS claimed there is a database that can track the timeliness of the review process, but did elaborate on the particulars of this system. Critics say harsh criteria for application make the program superfluous. Most people “so physically or cognitively debilitated or incapacitated that […] they no longer present any danger to society,” would not make it through the lengthy release process. Phil was 67 years old when he died in a prison hospice last April. He was convicted for second-degree murder in 1998 and was given a sentence of twenty years to life. Phil was a long-haul truck driver and had become friends with Pat and her children—to the displeasure of Pat’s then husband. During a fight between the three of them, Phil shot Pat’s ex-husband, who died before they could reach a hospital. Pat claims her ex-husband was a violent man. For years before meeting Phil, Pat and her children bore the brunt of his anger, and were often subjected to domestic violence. 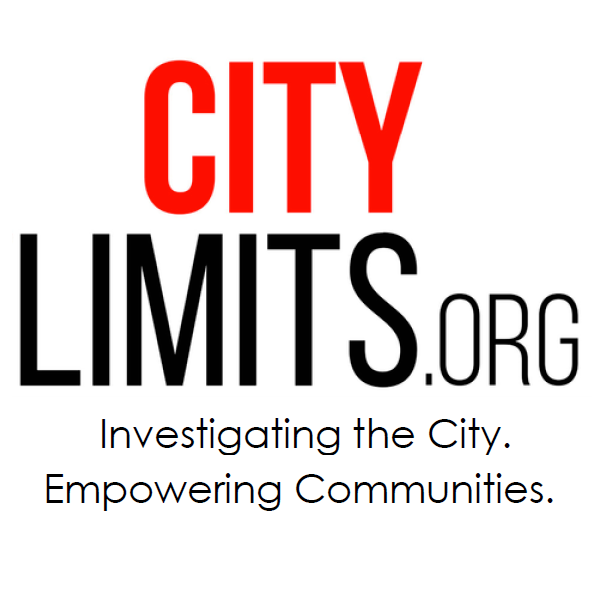 Phil’s friend Pete (who is currently incarcerated in Attica and whose name has been changed because of his fear of retribution) wrote to City Limits about Phil and conditions for elderly inmates in prison. Sick call is at 5:30AM, for anybody who feels sick or has medications to receive 0n a daily basis, which is the majority of elderly inmates. Ten years ago, sick call was not so early. For years after his surgery, Phil suffered chronic pain in his chest and was wheelchair bound. Pat says prison guards refused to push him in the wheelchair, and one day the surgical wires that held his ribs together snapped as he pushed himself to a visitation. As time went on, a clicking sound began resonating from his chest, because there was no longer anything holding his ribcage together. “Sometimes you could see his heart beating in the middle of his chest, and that was spooky, but they told him for years he was fine,” says Pat. Not until 2008 when Phil had an x-ray for his emphysema did they find the broken wires. The x-ray technician told him it looked like there were open safety pins poking out of his chest—yet the doctors still did nothing about it. “He wanted to be fixed and they said, ‘No that’s elective surgery, we can’t do that. You’re fine,’ but they kept putting it off and putting it off and he’d just stay in his room,” says Pat. In April 2012, doctors told Phil they found a spot on his lung. They said they couldn’t do surgery, but that there was a spot and they would check in with him soon. Phil waited all summer, terrified. “I got cancer and they’re not doing anything. I’m dead. I’m a dead man walking,” he would say, according to his widow. In September he was taken back to Erie County for another biopsy. They discovered the spot had grown to a 5-cm tumor on his lung. Four months later he was transferred to a prison hospice at the Wende Correctional Facility, where he died two weeks later. When they found the tumor in his lung, Phil would have qualified for Compassionate Release, but even if he had applied he would have been dead before the decision had gone to parole.